First impressions are everything – at least when it comes to selling your home. According to the National Association of Realtors, 63% of homebuyers will drive by after viewing a home online. What will they see? The home’s exterior. Curb Appeal is an undefinable characteristic that draws you to a home at first glance. It is a combination of visual charm, good upkeep and attention to detail. Try out one of these ideas to revamp your home’s curb appeal. Simple paint touch ups can greatly increase a home’s curb appeal. Paint is only about $25 per gallon, making it an easy and affordable way to polish the look of your home. Paint touch ups can range from painting your front door, shutters and even light fixtures. 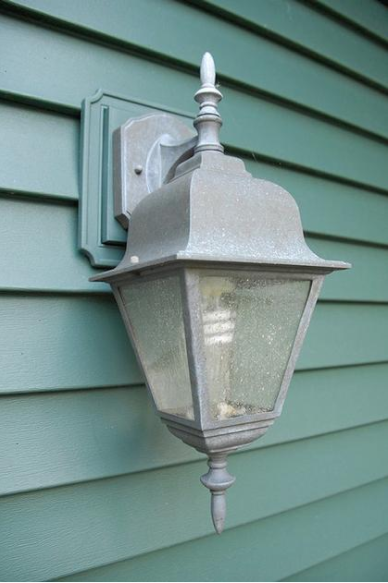 Take the before image above that shows a porch light in distress. 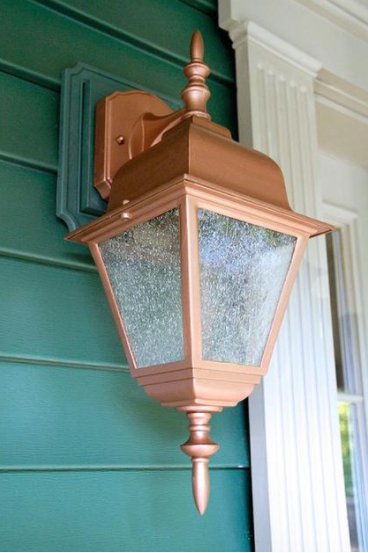 The after picture shows great improvement from simply using metallic paint to restore luster to an old porch light. If your house numbers are not easy to see or if they are dirty and dingy, replacing them carries a tremendous impact. 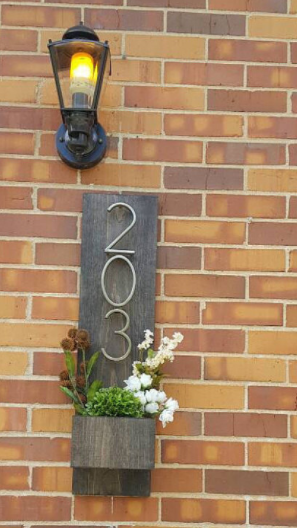 Consider the style of your home- traditional, transitional, or modern- and create either a harmonious or contrasting effect with new house numbers. Local home improvement centers or hardware stores have an impressive selection of decorative numbers. Ranging from address plaques to brass house numbers. Pressure-washing the dirty siding and deck, as well as the faded driveway and walkway is an extremely cost-efficient way to increase your home’s curb appeal. Take the before and after picture above. 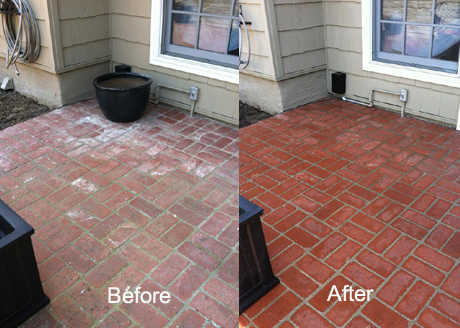 A simple wash can make bricks look brand new. If you do not own a pressure-washer, you can rent one from your local home improvement store for the day. 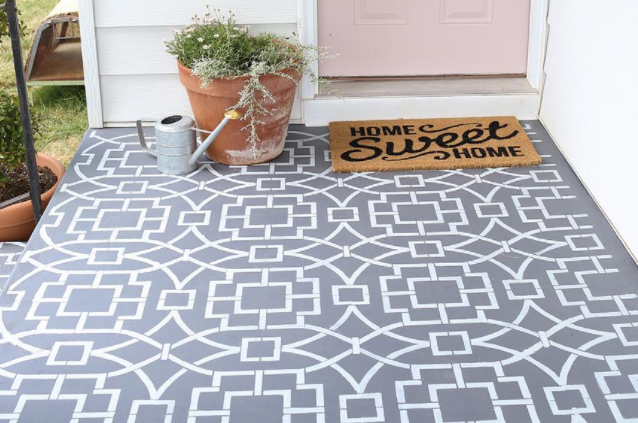 A simple way to give your concrete porch a more decorative look is to paint and stencil it. Stenciling is an easy and affordable way to turn a dull space into a stand out welcoming area.